13 JEFFERYS, Th. 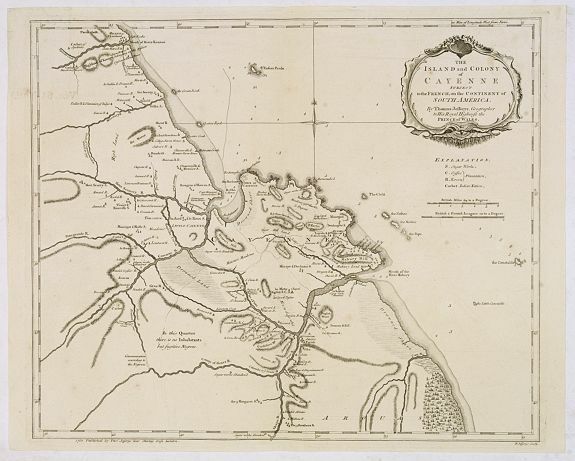 The Island and Colony of Cayenne Subject to the French, on the Continent of South America. London, 1760. Bon �tat. 367 x 443 mm. 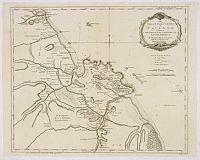 � La carte figure la Colonie fran�aise de Cayenne et porte cette inscription relative � l'esclavage : "In this Quarter there is no Inhabitants but fugitive Negroes".